Be the first to share your favorite memory, photo or story of Merman. This memorial page is dedicated for family, friends and future generations to celebrate the life of their loved one. 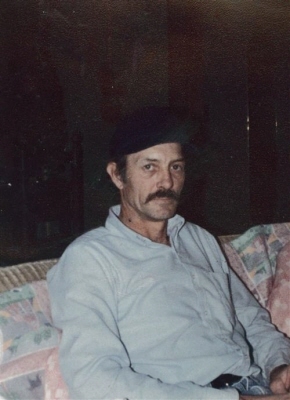 Merman Brent Porter, 70 of Lewisburg, Kentucky died on Monday, December 3, 2018, at his residence in Lewisburg. He was born Wednesday, August 4, 1948 in Dunmor, Kentucky, the son of the late Warren Porter and the late Bonnie Green Porter. He was the husband of Linda Covington Porter, who survives. He was retired from ITW and a member of Oak Forrest Baptist Church. Also surviving are son, Marty Porter of Dunmor, KY, daughters, Angela Holloway of Russellville, KY, Julie Garrett of Lewisburg, KY and Crystal Smock of Lewisburg, KY, brothers, Timmy Porter of Dunmor, KY, Penny Porter of Lewisburg, KY, Mike Porter of Dunmor, KY and Eric Rodney Porter of Russellville, KY, sisters, Gloria Thomas of Russellville, KY, Marsha Taylor of Auburn, KY and Teresa Grise of Franklin, KY; 12 grand children; 1 great grand child. A funeral service will be at 11:00 AM on Thursday at Price Funeral Home, Inc. located at 252 E. Green St. Lewisburg, Kentucky 42256 with Bro. Fred Harrison officiating. Interment will be in Dunmor Cemetery, Dunmor, KY. The family will receive friends after 9:00 AM on Thursday, December 6, 2018, at Price Funeral Home, Inc., 252 E. Green St., Lewisburg, Kentucky. Memorial contributions may be sent to Hospice of Southern Kentucky, Inc. 5872 Scottsville Road Bowling Green, KY 42104. To plant a tree in memory of Merman Brent Porter, please visit our Tribute Store. "Email Address" would like to share the life celebration of Merman Brent Porter. Click on the "link" to go to share a favorite memory or leave a condolence message for the family.